Singing at the adriatic sea. The Croatian city of Porec, located directly on the Adriatic Sea, is the perfect spot to give your choir lasting memories of creative, thrilling and eventful days together. Once again after its 2017 premiere edition the city will be host of an international music event combining choral singing, holiday feeling and cultural highlights in 2018. 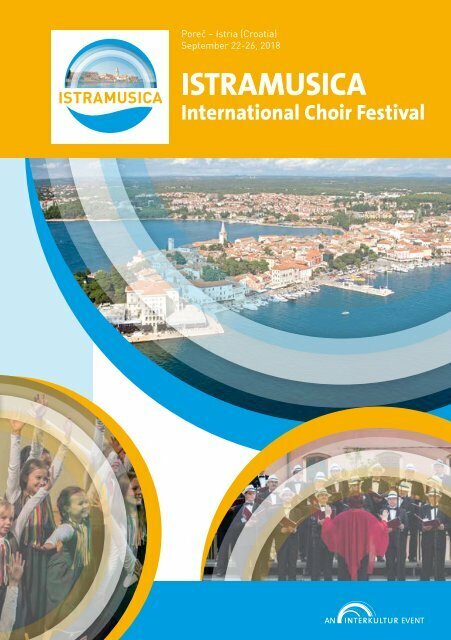 A competition in different categories of difficulty and genre as well as Friendship Concerts and singing opportunities in such beautiful venues like the Euphrasian Basilica - a UNESCO World Heritage Site - will be the highlights of your next choral experience in the Istria region. The setting for this choral event is still breathtaking: Recreational opportunities and tourist destinations abound in this delightful, sought-after area – you will be enchanted!